Are you (or is your current plumber) baffled by a plumbing problem? Get a second opinion … find the solution. We put it in writing. Growing up in Northeast Ohio, Greg rebuilt his first engine at age 12. His mechanical understanding came naturally at a very young age leading to a background in a multitude of trades including; automotive, woodworking, metal fabrication, construction, and industrial heat treating. At the same time, Greg pursued a degree in business at the University of Toledo and continued his education at the University of Wisconsin where his problem solving skills transitioned him to a career in finance. It was in Wisconsin where he met and married the love of his life Hannah, and started a family. After 10+ years of success in the financial industry, Greg returned to Ohio with his family to reignite his passion of working with his hands. 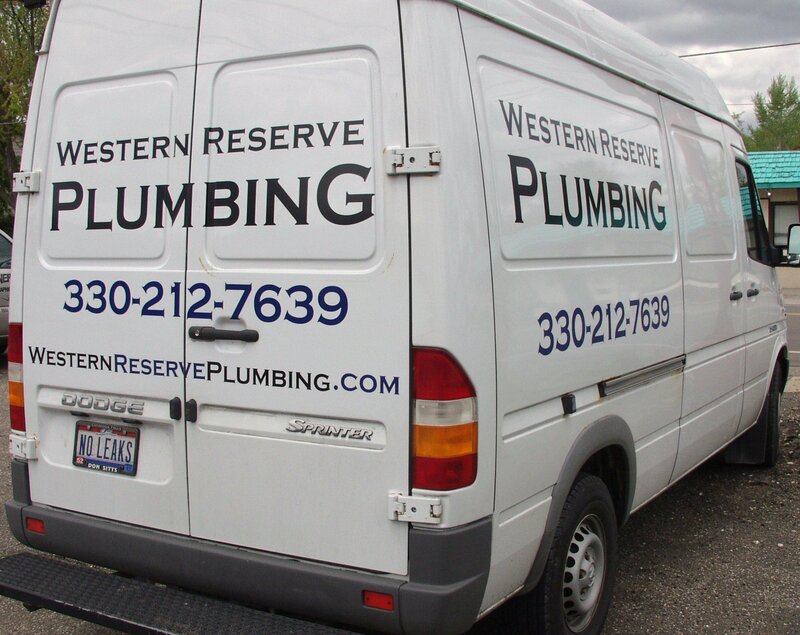 Together, Greg’s well-rounded skills and expertise will bring fresh innovation to Western Reserve Plumbing and their valued clients. This third generation plumber worked alongside his grandfather and father, since the age of twelve. He grew up in Richfield, Ohio learning to address the unique challenges extreme winter weather and well water pose for residential and commercial plumbing repairs, as well as the particular needs of century homes. A move to Mill Valley, CA brought Swan another twenty-two years’ experience, operating his Swan Plumbing Company, and working with multi-phase development projects, luxury homes and modern plumbing technologies. Swan brings a full complement of capabilities to Western Reserve Plumbing.